Plant Hire Gwyn Roberts Consruction a'i Gwmni cyf offers services in plant hire and construction equipment hire from mini excavators to 20 tonne excavators. 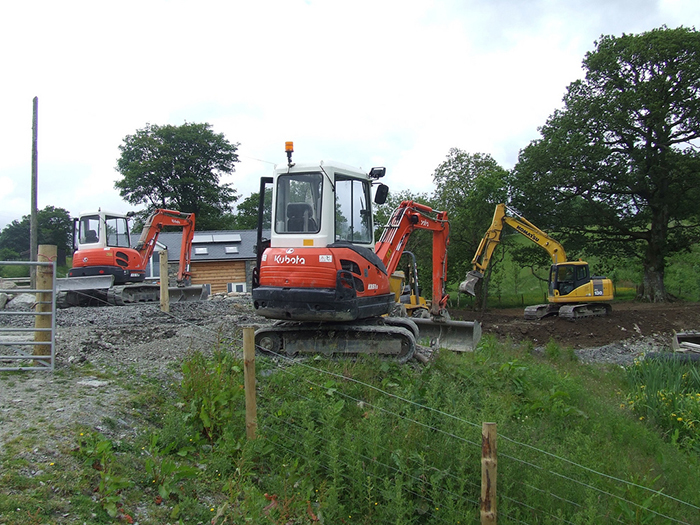 Gwyn Roberts Construction has a number of machines available for hire either self drive or operated. Trained staff are also available to advise individuals and to ensure that you achieve maximum production in the safest environment. 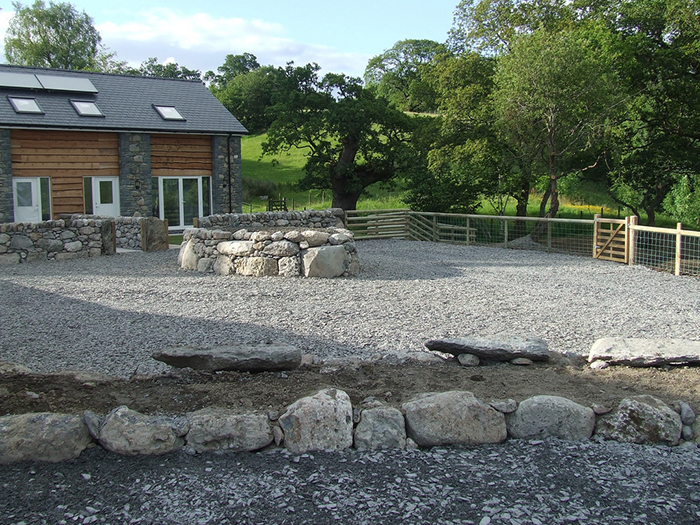 Gwyn Roberts Construction specialises in all kind of groundworks. This including site clearances, landscaping, ponds and lakes. We offer groundwork services for the new build, extensions, landscaping and drainage including the initial site clearance How about renovating your garden and having a pond or lake to rear your own fish, Gwyn Roberts Construction can ensure that your lake looks as you imagined. We have over 30 years experience and all our work is to the highest standard. Gwyn Roberts Construction specialise in all kind of drainage including road drainage, land drainage, house drainage and septic tanks. The company can also advise you on the best measures to take to ensure that your land is dry. The company have undertaken many drainage contracts and are very successful, and well known in the area and in North Wales. During the past few years Gwyn Roberts Construction has built on the landscaping side of the business and has ensured attractive gardens all over north Wales. The company can create specialised dry stone walls and other stone walls to the taste of the customer. The company can also create lakes and ponds to the taste of the customer. The company can advise customers on ideas and have been involved in creating the most amazing garden. Gwyn Roberts Construction specialize in tarmacadam laying including resurfacing roads and parkings as well as surfacing tracks and tennis courts. Gwyn Roberts Construction ensures minimal disruption to the traveling during the tarring of roads or re-surfacing.